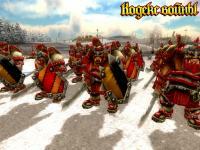 This heavy infantry is almost invulnerable to ordinary enemy attacks. Powerful attack and fighting skills in urban terrain have transformed Orc Mights into an ideal weapon for siege and defense of fortresses. In open terrain they are able to stop any enemy using their special abilities. Every Orc Might becomes a clan chief. You will not miss such an orc in ranks of a horde. 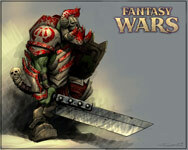 Incredibly tall, dressed in the best armor with the heaviest sword or axe he is noticeable from very far. Orc Mights will form an indestructible wall on enemy's way. They can turn the tide even in the harshest battle situations.